Contact Us about Is grooming right for me? Today's dog grooming salon is not at all like the 'Poodle Parlours' of a few years ago. In those days it really was mainly Poodles that attended a grooming parlour for their wash, cut and blow dry! They were the pampered pooches which traditionally visited the groomer every few weeks. All the other breeds got hosed down in the yard or, if they were lucky, thrown into the family bath, toweled off and left to dry in their own time. Today things are very different in that respect. Society is, on the whole, more affluent than it was 20 years ago. This is because more family members go out to work so that they can enjoy a better standard of living - newer cars, holidays abroad, better housing, new furnishings etc. - and a clean dog! The family pet, loved as he may be, is not regarded with as much enthusiasm when he insists on rubbing his smelly coat against the cream leather sofa or the expensive soft furnishings! Therefore today's grooming salons see practically every breed of dog, but strangely enough, the Poodle numbers are decreasing. The Lhasa Apso, Shih Tzu and Westie are very popular amongst the small breeds, as is the Bichon Frise. The Spaniels are numerous and the large breeds, especially the Retriever, Collie and German Shepherd are regular clients. We even see a regular number of the smooth coated breeds - the Labrador, Boxer, Staffordshire Bull Terrier, Greyhound, and others - including the occasional Dalmation and Great Dane. These smooth coated dogs were rarely seen in grooming salons in the past but these days they come in for a bath and dry, nails and ears. This again demonstrates that owners are making choices now to keep their dogs cleaner and more "user friendly" without wrecking their own bathrooms to achieve this. Just imagine what havoc can be caused by a large, still wet dog running around the house and trying to dry itself on the carpets and furnishings! Dog grooming for a living can be described in many ways. Your clients, the dogs, come in all shapes, sizes, temperaments and conditions. Some of them are absolute role models who will stand patiently whilst you work your magic. Others appear to have one aim only - to hinder your progress! It is sometimes hard physical work which can drain you of energy. At the same time though it is satisfying, rewarding and often inspiring. Working for yourself is a liberating experience. You can set your own pace, decide when you work, when you take holidays, how long you shut down for over Christmas and New Year and so on. However, you must remember that all of these decisions have to be balanced against the needs of the business too in terms of, for example, how much you need to earn to cover costs and provide you with the income you require. If your goal is to start your own dog grooming business you can choose to take either of our main courses i.e. The Groom For a Living Course or The Professional Career Course. 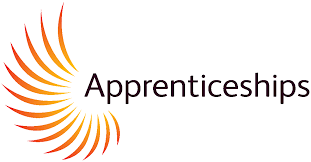 The only real difference between these courses is that one is without qualification and the other enables you to gain a City & Guilds qualification - which means extra revision and study, and exams following the course! It's an individual choice. Both courses will teach you how to start your own grooming business - whether it be from your own home, a mobile service or eventually working from a dedicated Salon. You will have all of the skills required to successfully groom and style your dogs. 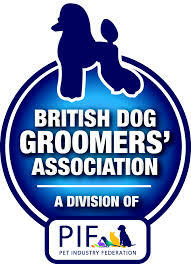 It should be noted however that some industry people 'in the know' predict that grooming will be regulated one day and that will require groomers to have an accredited qualification in order to practice. From that platform many will feel that a qualification course is worth considering from the beginning. What you WON'T have straight after a course - any course - is speed! This comes with repetition and experience, and the only way to get that experience is to get started. This means that when you do start your own grooming business your income will be restricted by the number of dogs you can realistically take on each day. A newly trained groomer - working alone - will be able to comfortably manage 2 dogs a day to start with, so the initial financial rewards will be limited. However, speed increases as you work and you can certainly look forward to your daily income steadily increasing.